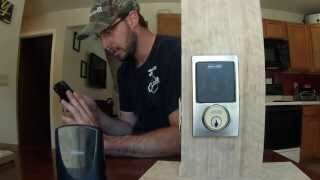 You can control the Schlage Sense Smart Deadbolt using Siri voice commands. The iOS app is straightforward and works well. Installation is easy as long as you have a standard size door. Bluetooth connectivity only works within about 50 feet. If you want to control the lock from a distance, you need an Apple TV to give it a Wi-Fi connection. There's no Android app. You need an iPhone, iPad or iPod Touch to control the lock. The lock's interior side is a bit bulky. 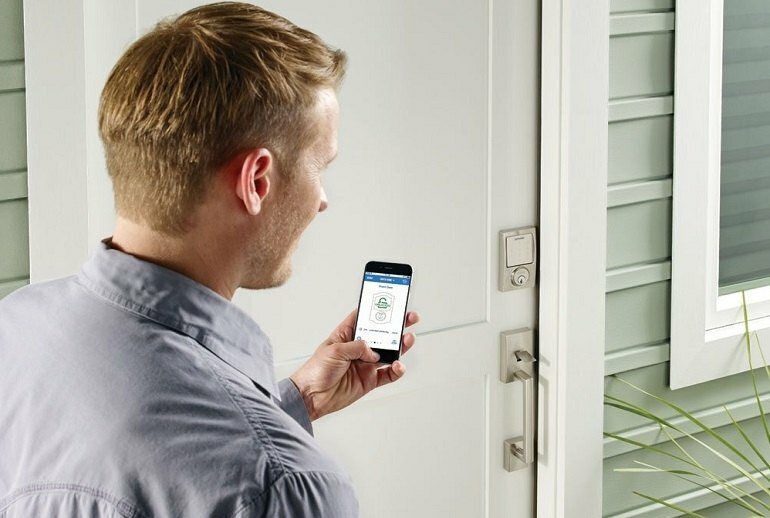 The Schlage Sense Smart Deadbolt pairs to your iPhone using Bluetooth. The lock is Apple HomeKit-enabled so you can command your lock to open and close using Siri. You can program up to 30 personal codes so you know who is coming and going, and the lock has a built-in siren if someone tries to forcibly enter. 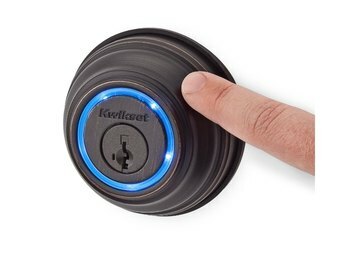 This deadbolt knows when you leave your house and can be set to automatically lock between 15 seconds to four minutes later. The device operates on four AA batteries, which last about a year, and the lock notifies you when the batteries start to run low. 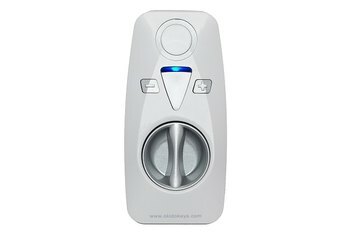 Add the built-in alarm function which “senses” potential door attacks and the fact that the entire product is of Grade 1 Highest Residential Security Rating and the simple act of protecting/unlocking/locking the front door becomes 21st Century simple. ... having the ability to control things from your iPhone and have the lock respond to voice commands makes it worth the premium price, particularly if you've already invested in other HomeKit devices. Granted, you'll need an Apple TV to control the Sense remotely, but that doesn't prevent it from earning our Editors' Choice for connected locks. 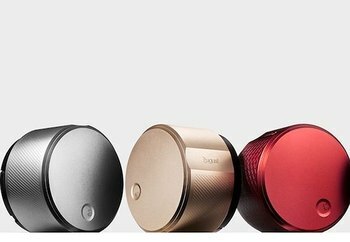 You can't control the lock from beyond the range of its Bluetooth radio, and especially not from outside the home. 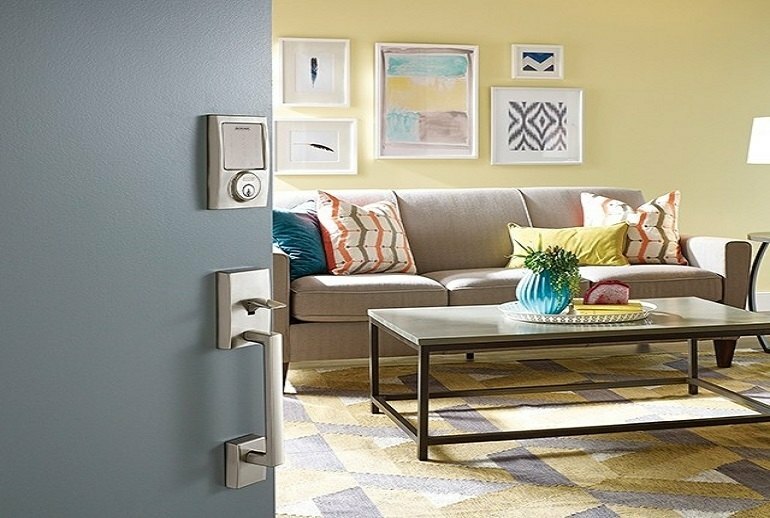 Schlage’s new Apple HomeKit-connected deadbolt is surprisingly functional, and it points toward a future in which we don’t need keys. 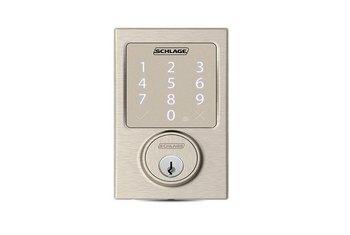 The new Schlage Sense is definitely a generational improvement. First, it works with Apple’s Homekit automation, which means we can drop the Iris subscription (as long as we have an AppleTV on our home network to act as the hub instead). That saves a chunk right there. I think this product is a good smart start to home security, and complements the slew of camera-equipped house lights and doorbells that will debut at CES, as well. 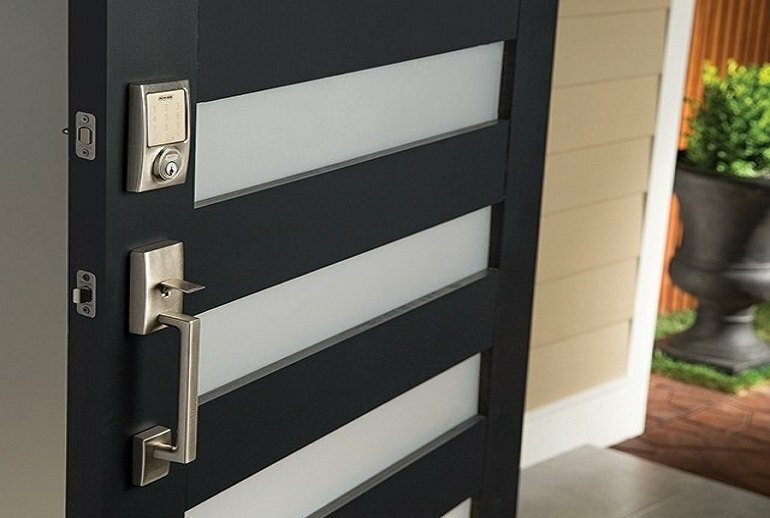 This type of combination will make your home more secure, allowing you more peace of mind. 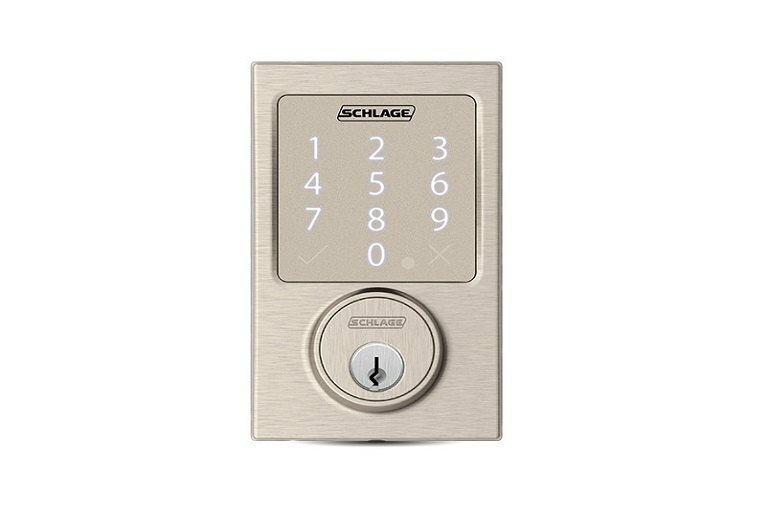 With HomeKit integration, the Schlage Sense will allow homeowners to control their door lock with Siri voice commands, and it has the built-in end-to-end encryption that Apple requires of all HomeKit-compatible products. 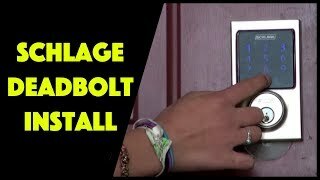 When I tested this arrangement out at the CNET Smart Home, I was able to lock and unlock the door from 40 miles away, albeit with about 9 or 10 seconds of lag. But again, you can't do that if you don't have Apple TV. Because it’s compatible with HomeKit, Apple’s smart home network, you can unlock your door using Siri voice control on your iPhone.